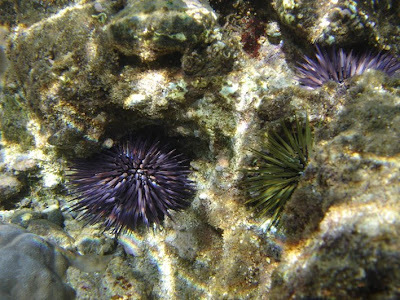 The Echinoblog: Things around the museum-Hawaiian Sea Urchin Art! 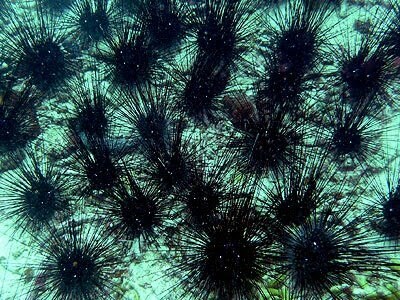 Vana (sea urchins) on Kapa! Things around the museum-Hawaiian Sea Urchin Art! Vana (sea urchins) on Kapa! So, to make up for my blog shortcomings this week, I thought I would share something pretty cool that I found lying around the museum! That's one of the great things about places with so much history....always a good chance to find randomly amazing material! 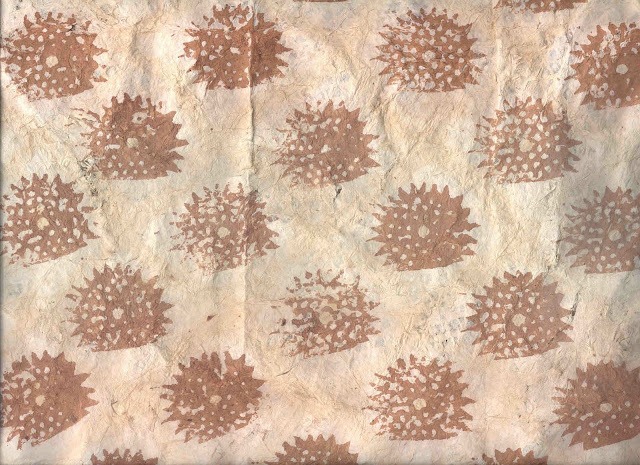 The above scan comes from a bark cloth print of Vana (or wana) which is Hawaiian for "sea urchin". Kapa is made from the beaten and felted inner white bark of the Wauke tree (Brousonetia papryifera)-(Echinoblog note-this is also called Paper Mulberry). 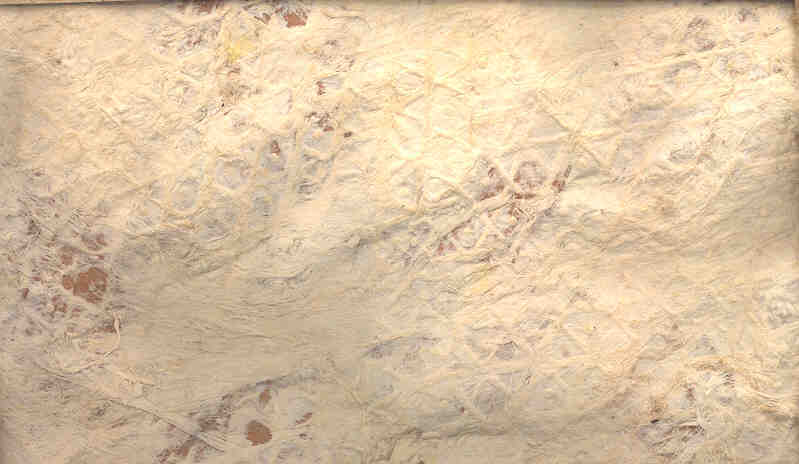 Kapa was also made from the bark of the breadfruit tree. The bark was separated from the stick, and the outer brown bark was scraped off. It was then soaked in the ocean for 10 days. Then beaten with a round beater made from native hardwoods. This was dried in the sun and when enough was obtained it was soaked in fresh water for a day and put under tea and bannana leaves to ferment for 1-2 weeks. next it was beaten with a square beater into a sheet of cloth. After this, it was decorated with natural dyes and perfumed with maile, sandlewood and mokihana. Dyes used to decorate Tapa cloth are obtained from the root of the Kukui tree, which is the tree of the state of Hawaii. It is mixed with a special red clay called Alae to make a brown, and with black soot to make a black (presumably color). Yellow is made from the juice of the Olena (tumeric root). All of these dyes are recorded as used by the ancient Hawaiians. The tag notes that the design was for "Vana (aka Wana), symbolic of the sea urchin which lives in the lava rocks along the shore line"... Which immediately made me think of Echinometra-the widespread sea urchin species found in Hawaii and the Indo-Pacific (shown here). Hmmm...I'm thinking Echinometra is more of a match...but its pretty cool no matter how you look at it!! And heck..while I'm at it, here's a link to one of my favoritest posts on the Hawaiian (and beyond) Shingle Urchin (Colobocentrotus)!! !